BU has received a verbal commitment from right-shot defenseman Charlie McAvoy, who spent last season with the NJ Rockets and was their top scoring defenseman. The 6-1, 194 lb. blueliner tallied 17-39-56 overall in 69 games, 12-31-43 in 34 regular season league games, and 3-7-10 in eight playoff games, earning MJHL Offensive Defenseman of the Year honors and helping the Rockets win the league playoff title. After participating in NTDP evaluation camp in March, McAvoy received an invitationto join the program in Ann Arbor this fall. With his 12-21-97 birthdate, McAvoy will be the youngest member of this year’s NTDP U17 squad, whose season begins a month from today. "Charlie reminds me of a young [Washington Caps D] John Carlson that played for me with the Rockets’ junior program back in 2005-06, a true pro prospect due to his size and stature on the ice. He is an offensive right shot defenseman who flourished playing in our junior program as well as our independent midget U18 schedule, totaling a combined 89 games played last season. Charlie played with and against players 2-3 years older than him, which allowed him to progress faster due to the role he was used. He logged the most minutes of any defenseman we had and played in all situations with his strength being the power play. All of his success helped our Jr. B team to win it second Keegan Cup in a row and he won MJHL Offensive defenseman of the year." McAvoy had a strong showing at last month’s USA Hockey Select 16 development camp, earning kudos from two scouts for Amateur Hockey Report. Charles McAvoy, D, ’97 (NJ Rockets-MET) — Is a 12/21/97 birth date, meaning he is almost a ’98. Played last season for the Long Island Gulls U14 team and along with Jeremy Bracco, Nolan Aibel and Troy Conzo made the move to the Rockets. McAvoy may fly under the radar a bit, but the more you pay attention to him the more you like him. He’s a strong skater, and confident with the puck. BU’s recruit pipeline now has two defenseman in its 2015 class. 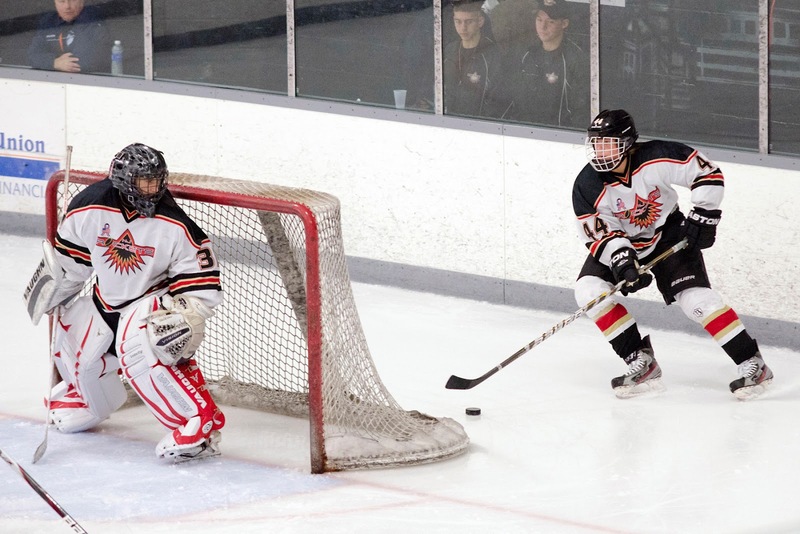 The other one is highly regarded defensive stopper Jonathan MacLeod, a 6-2, left-shot, who played for the NTDP U17s last season and will skate for the U18s this year.